Aaron Mills (Anishinaabe) works to understand how indigenous systems of law function and how they might assist in identifying and in changing violent dynamics of indigenous-settler relationships and of human-earth relationships on Turtle Island today. His core political project is indigenous constitutional revitalization, which places earth at the centre of law. Mills works with indigenous elders, communities, advocacy and service organizations, and governments to support their goals in this area. He also frequently supports Canadian governmental bodies, civil society groups, and educational institutions wanting to educate themselves about indigenous law and/or colonialism. He has sat on the board of directors of the Indigenous Bar Association and of Aboriginal Legal Services, and served as editor-in-chief of the Indigenous Law Journal, during which tenure he created the ‘Community Voices’ feature. His work on indigenous constitutionalism has garnered numerous awards. As a graduate student, Mills was a SSHRC Talent Award winner, a Pierre Elliott Trudeau Foundation Scholar, a Vanier Canada Scholar and a Fulbright Canada Scholar. Aaron Mills was the lead investigator of a project he and his grandmother recently completed in their own community, taking a first step to revitalize the aadizookewin (legends-telling tradition) at Couchiching First Nation. 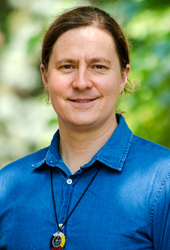 Professor Mills joined the Faculty in 2018. On August 1, 2019, he will take up the Canada Research Chair in Indigenous Constitutionalism and Philosophy. Indigenous constitutionalism, law and legal theory; indigenous lifeways, narrative traditions and philosophy; mutual aid and earth constitutionalism; treaties and constitutional dialogue; the liberal tradition in legal and political theory; Canadian liberalism.